The P-Lite series has been a solid midrange performer in the past few year and the Huawei P20 Lite ensures that the series lives on. 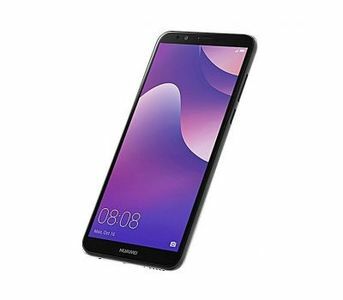 Featuring a FHD display, a bezel-less design, and a powerful processor, the Huawei P20 Lite is an all-round smartphone that you can get within a budget. 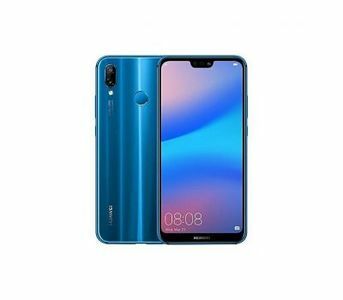 The Lowest price of Huawei P20 Lite in Pakistan is Rs. 32,449, and estimated average price is Rs. 34,739. The prices are collected from the best online stores in Pakistan like Buhatala.com, Selecto.pk, Savers.pk, Farjazz.pk - updated Apr 2019. The Huawei P20 Lite is the budget version of Huawei’s flagship for 2018. The P20 Lite comes with a beautiful edge-to-edge design, a powerful chipset, and an impressive camera to establish itself as one of the leading midrange smartphones. 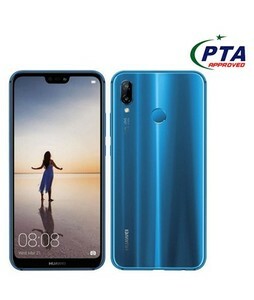 It is recommended for users who are looking for a well-balanced smartphone that offers excellent performance while remaining competitive in other areas such as the camera and storage. 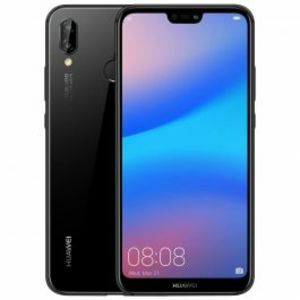 The Huawei P20 Lite comes with a IPS LCD 5.84-inch FHD display which is similar to the Huawei P20. The display is quite sharp with a pixel density of 432 pixels per inch and the colors are impressive as well. Overall, the Huawei P20 Lite comes with a bright and vibrant display that offers great contrast. 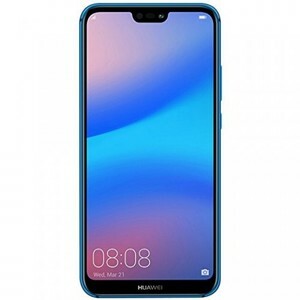 In terms of design, the Huawei P20 Lite is very similar to the Huawei P20. 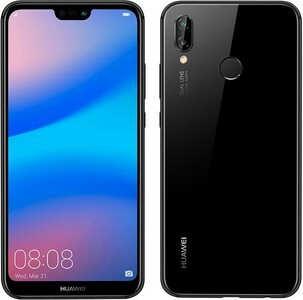 There is an edge-to-edge bezel-less screen with a small notch on the top but instead of the home button, there is a Huawei logo. The P20 Lite relies on the onscreen buttons for navigation with the fingerprint sensor on the rear. The smartphone is built with an aluminum frame and a plastic back but it looks very impressive to the eye in terms of design. 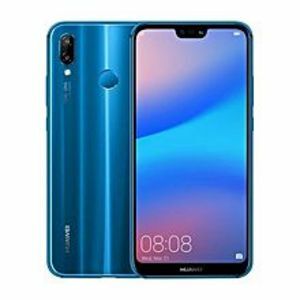 The Huawei P20 Lite comes packed with the Hisilicon Kirin 659 chipset, Android 8.0 Oreo, and a Mali-T830 MP2 GPU. The smartphone is able to handle multitasking and gaming easily without noticeable lag which makes it adequate for day to day use. The benchmark scores of the Huawei P20 Lite are 1455, 9090, and 87431 in Basemark OS II 2.0, Basemark X, and AnTuTu 7 which are on par with other smartphones in the same price range. The camera on the Huawei P20 Lite is not as impressive as the P20 or the P20 Pro. The dual 16MP + 2MP camera setup on the back disappoints in terms of features since it has no optical image stabilization, hybrid zoom, or Master AI. However, it does feature variable aperture and a manual mode for enhanced photos. The image quality during daytime is great with resolved detail and accurate colors but the dynamic range is not as wide as it ideally should be. Lowlight images have a lot of noise and thus are disappointing in general. The 16MP selfie camera on the front is a basic shooter that can take photos with good colors and detail but the images are not very sharp. Overall, the camera on the Huawei P20 Lite is just average and does not stand out as a highlight for the smartphone. The P20 Lite has a 3000 mAh battery which has an endurance rating of 77 hours. You should be able to get just over a day’s worth of battery from a fully charged Huawei P20 Lite. There is fast charging (9 V/2 A) on board too which can charge the P20 Lite from 0 to 30% in around 30 minutes. 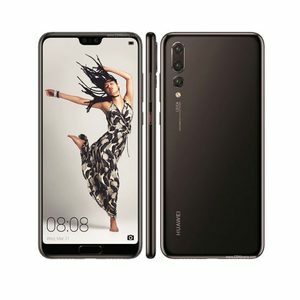 As for connectivity, the Huawei P20 Lite comes with Bluetooth 4.2, NFC, FM Radio, and a USB 2.0 Type-C connector. Camera quality is just average.